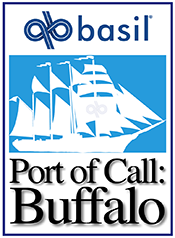 By submitting your contact information to Port Of Call Buffalo through our websites you agree to receive email communications for marketing purposes and/or followup by phone where necessary. Port Of Call Buffalo Does not sell information collected to 3rd parties, affiliates, sponsors or partners. Port Of Call Buffalo Does not store customer billing, credit card or payment transactions directly on our servers. Port Of Call Buffalo Does not store personally identifying information on our servers but may process it during online interactions. Port Of Call Buffalo Does not send newsletters without placing an unsubscribe link at the bottom of every email communication. We collect "Non-Personal Information" and "Personal Information." Non-Personal Information includes information that cannot be used to personally identify you, such as anonymous usage data, general demographic information we may collect, referring/exit pages and URLs, platform types, preferences you submit and preferences that are generated based on the data you submit and number of clicks. "Personal Information" is information which can be used it identify you as an individual; at present, this includes your email, address, billing information, company and identity information and any other information which you submit to us through the registration process for the Website. When you submit an online form to us you are agreeing to be added to our Newsletter. To view our Website you do not need to submit any Personal Information other than your name, general geographic location, profession or industry that you operate in and email address. You may also submit more details about your business like the name of your company. In an effort to improve the quality of the Website, we track information provided to us by your browser or by our software application when you view or use the Website, such as the website you came from (known as the "referring URL"), the type of browser you use, the device from which you connected to the Website, the time and date of access, and other information that does not personally identify you. If you use an external application account (like Google) to sign in to the Website, we will collect and store your user ID. The privacy practices of these external applications are set forth in their privacy policies, and Port Of Call Buffalo has no control over the uses of your ID by such parties. Port Of Call Buffalo will offer individuals the opportunity to choose (opt out) whether their personal information is to be used for any purpose other than what it was collected for. We also may be required to disclose an individual's personal information in response to a lawful request by public authorities, including to meet national security or law enforcement requirements. In response to a verified request by law enforcement or other government officials relating to a criminal investigation or alleged illegal activity, we can (and you authorize us to) disclose your name, city, state, telephone number, email address, UserID history, fraud complaints, and usage history, without a subpoena, in connection with an investigation of fraud, intellectual property infringement, piracy, or other unlawful activity. These 3rd parties protect your information from potential security breaches by implementing certain technological security measures including encryption, firewalls and secure socket layer technology. However, these measures do not guarantee that your information will not be accessed, disclosed, altered or destroyed by breach of such firewalls and secure server software. In addition, while we take reasonable measure to ensure that other entities who provide us with payment processing services keep your information confidential and secure, such entities' practices are ultimately beyond our control. By using our Website, you acknowledge that you understand and agree to assume these risks. Port Of Call Buffalo acknowledges the individual's right to access their data and will allow individuals to access their personal information. Further, Port Of Call Buffalo will allow the individual to correct, update, or delete information. Individuals who wish to make an access request or remove personal information from our records, or if you have any questions in regard to this policy or believe that Port Of Call Buffalo has not complied with the provisions of this policy, should direct such a request to Port Of Call Buffalo support at the address provided below.